I create bespoke textiles mixing media and building up tactile delicate surfaces. I work and rework my pieces with paint, dyes, bleach and ink, burning and layering until finishing it with hand stitch. I find beauty in flaky walls, overgrown buildings and encrusted surfaces; this is something I recreate in my work. Initially I was inspired by a visit to a Fishermans village in Portugal, it was the old flaky paint on the boats and encrusted textures of the lobster pots that I recreated using fabrics and stitch. I develop my work to look as though it has been abandoned and has developed its own surface over time. I work in response to old, beautiful walls covered up by years of wall paper or overgrown doorways and walls in gardens. Some pieces of my work look as though they have been brought up from the bottom of the ocean with tiny glimmers of pearls and layers of coral stitch. I studied at Leeds College of Art and Design between 2006 and 2008, which resulted in a passion for Photography, Textiles and Fashion. 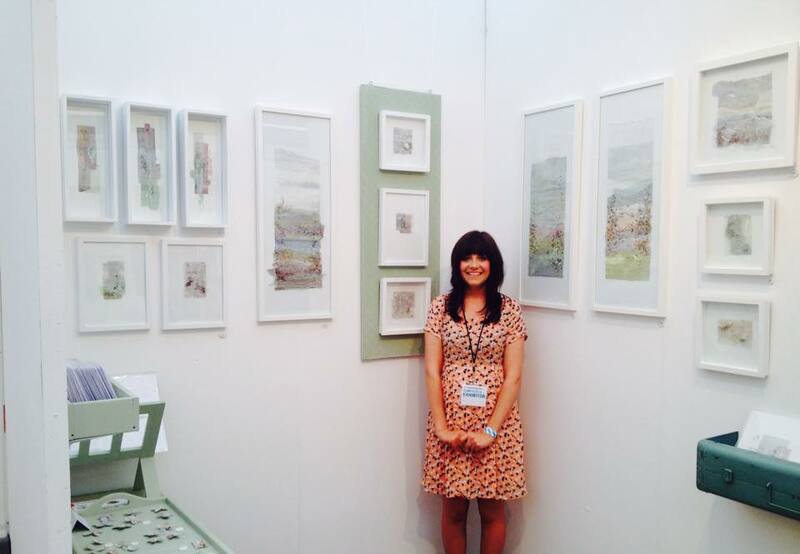 I then attended the University of Cumbria, graduating in 2011, with a 1st Class BA Honours Degree in Contemporary Applied Arts - specialising in Ceramics, Embroidery and Printed Textiles.